Posted in Grazing, Hay, Technology. 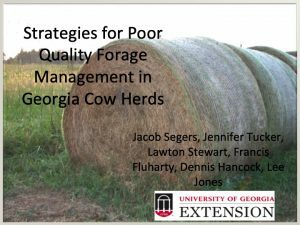 By Steve Morgan Harris County CEC Weeds can reduce the quantity and the stand life of desirable forage plants in pastures and hayfields. Weeds also impact the aesthetic value of a pasture. 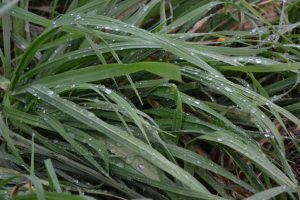 Therefore, producers may choose to initiate weed management strategies that reduce the impact of weeds on forage production…. 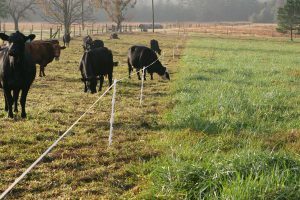 Posted in Bermudagrass, Grazing, Hay, weeds. 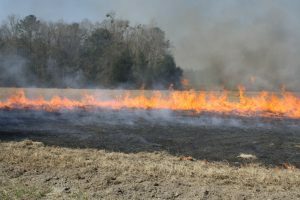 Posted in Bermudagrass, Establishment, Grazing, Hay, Warm Season Perrenials. From the January 2019 Issue of the University of Minnesota Extension – Horse Newsletter…. 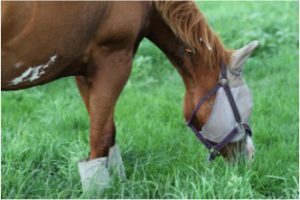 Forage is a primary part of the horse’s diet and is often fed in the form of cool-season grasses, legumes or warm-season grasses. These forage types differ widely in their nutritional content. Two main differences are the nonstructural carbohydrates (NSC) and fiber content. 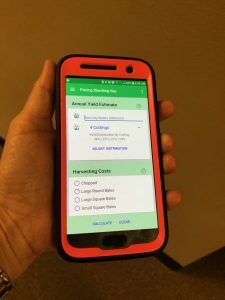 Therefore, the goal of this research, conducted at the University of Minnesota, was to explore the nutrient values of the forages and their effects on horses. Posted in Grazing, Hay, weeds. Posted in cattle, Grazing, Hay, horse, ruminant nutrition. Posted in cattle, Grazing, Hay. Posted in cattle, Grazing, Warm Season Perrenials, winter feeding. 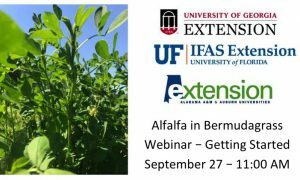 Join us for a FREE Webinar that will discuss tips and tricks of establishing alfalfa into bermudagrass. 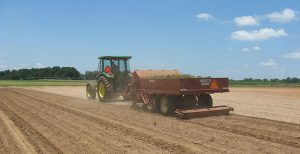 It will provide valuable information for anyone interested in putting in alfalfa this fall! And the best part is…. you don’t even have to leave your house! Posted in Grazing, Hay, multispecies, Seeding, Warm Season Perrenials, Workshops.